Summertime is grill time at our house and the best part of grilling is testing out new sauces! 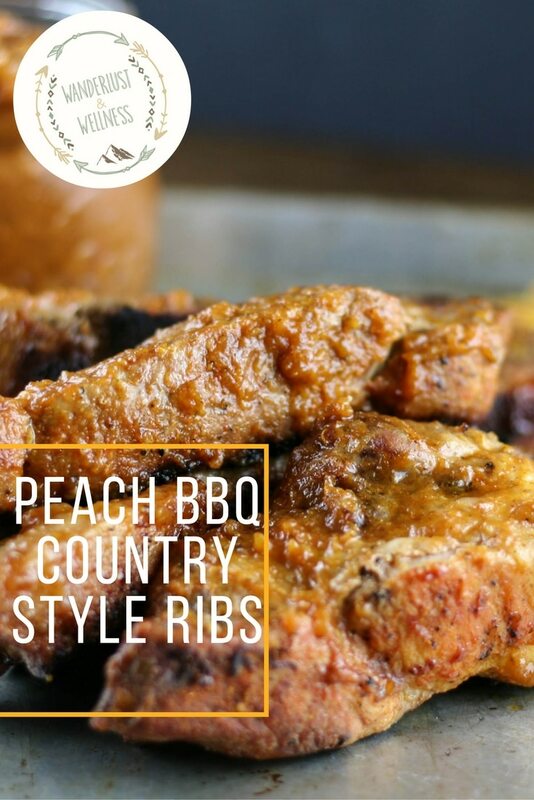 Fresh fruit season, especially peaches, is coming to a close and this BBQ sauce is the perfect solution to those fresh peaches you have lying around. As you may or may not know, we like things spicy at our house so of course this peach BBQ sauce has a little kick in the heat department. Remember a few weeks ago when we ventured to the local peach farm and brought home fresh peaches? I had all these peaches laying around and not sure what to do with them. 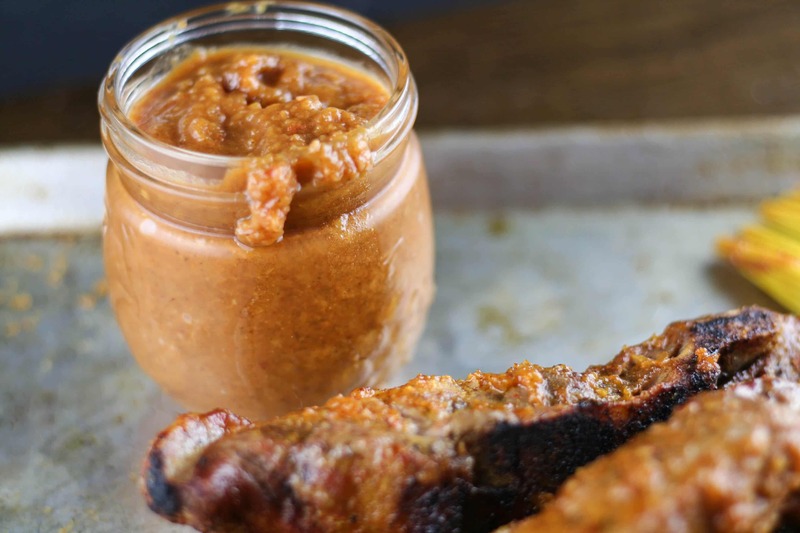 We’ve had grilled peaches, peach cobbler, and then this lovely creation, peach BBQ sauce. I used to want to get into BBQ contests, but quickly decided that wasn’t for me. However, creating new sauces still is! This sauce is easy to make and can also be stored in a mason or jelly jar for future use. Rub spices onto ribs, place into a shallow baking dish and cook for 35-40 minutes, or until done. 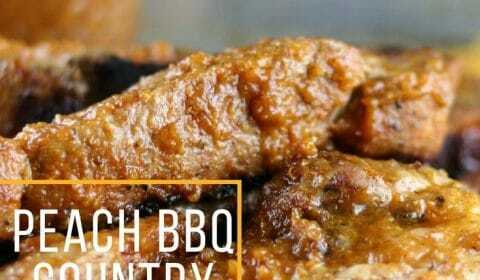 While ribs are cooking, combine ingredients for the peach bbq sauce. Combine all ingredients in a large sauce pan and place on medium heat. You want to mixture to start to slightly simmer, then turn heat down to medium-low. Cook for about 15 minutes, stirring occasionally. While cooking, break up the peaches into smaller chunks. Remove from heat and let cool down. Place sauce into a food processor and process until it’s pureed. 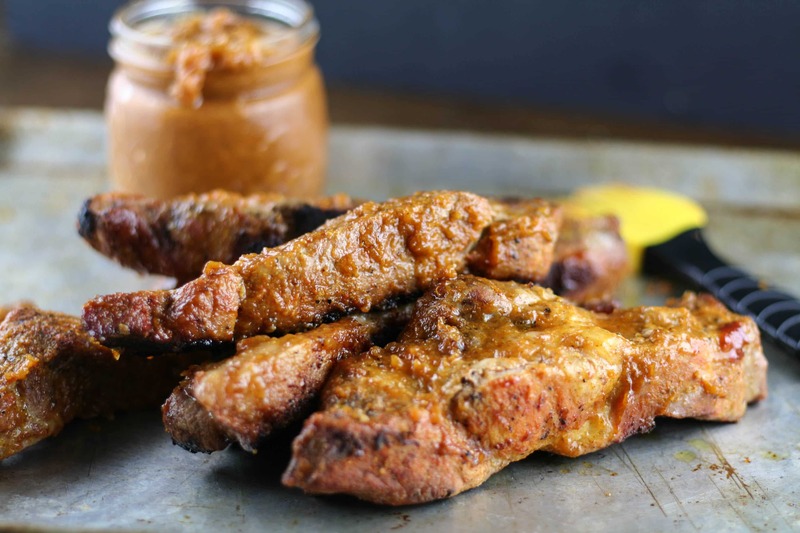 When time is almost up on the ribs, preheat your grill. Remove from oven and take to the grill, brushing on sauce liberally and cooking long enough to cook the peach bbq sauce on nicely.